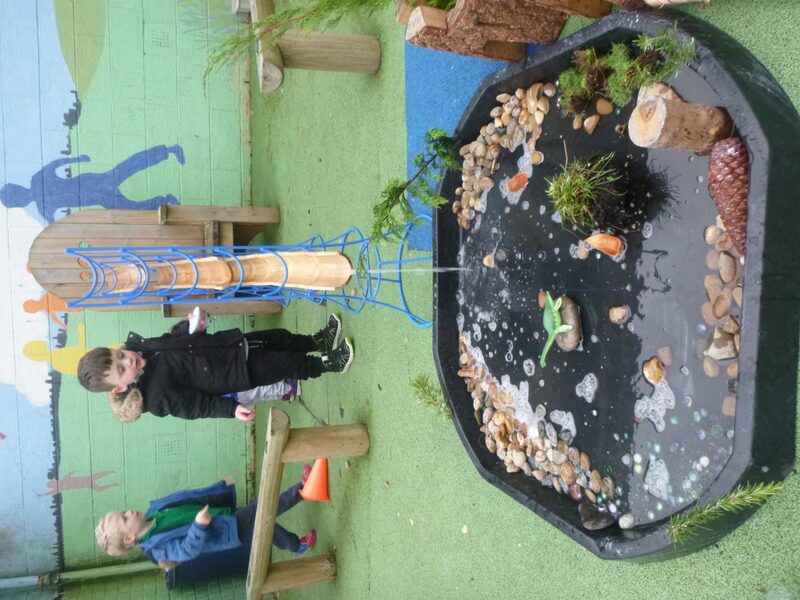 Outdoors this week we have had fun and used our creative skills to make and explore Scottish landscapes, with lochs, waterfalls and our very own Nessie. Well done to all the boys and girls for their amazing assembly today. We hope all the parents loved it too. Our assembly shared some our learning from this term. We talked about light and dark, the sun and moon, day and night, fireworks, fire safety, 2D shape and 3D objects, poetry and some interesting fireworks vocabulary. We have been very busy! Thanks to all the families and staff who joined us for our Teddy Bears’ Picnic this Saturday. It was such fun reading stories, doing crafts and playing games altogether. On Wednesdays our football coach comes to visit us. We love playing football in our new MUGA! Thank you to the parents who visited us today for stay and play. We hope you had as much fun as we did! This morning, we were playing on the see-saws. We were learning to balance on them and transfer our weight from one side to the other. I was scared of letting go of the teacher in case I fell but I took my time and learned how to balance on my own. My teacher was very proud of me. We were enjoying balancing so we decided to borrow a bench from the gym hall to walk along. We turned it upside down and it was very hard to balance on. We also used our building blocks to make stepping stones. I decided to but objects on each end of the see-saw. I noticed that when I made one side heavier, that side would fall down. Please join the Busby Nursery Parents’ Group on facebook for information and reminders about our nursery class. The group is run by our parents, for our parents. Follow the link below or scan the QR code. We were looking round the school for different shapes. We found triangles, circles, rectangles and squares. Samantha murphy on Sports Day Friday!